Wednesday night, I went to the Annual General Meeting of Gumsa. The aim was to elect the president and the commitee of Gumsa (Glasgow University Muslim Student Association). Before the election begin, Fatemeh, ‘my boss’ at Gumsa Media Team gave me a small white envelope. There’s a customised card and a tiny medal in it. I was not the only person who received this. All of Gumsa Media Team got the same package with different personal message in it. It makes me think that personal engagement is more than everything in organisation. Everyone felt honour and wanting to contributes more to the organisation. 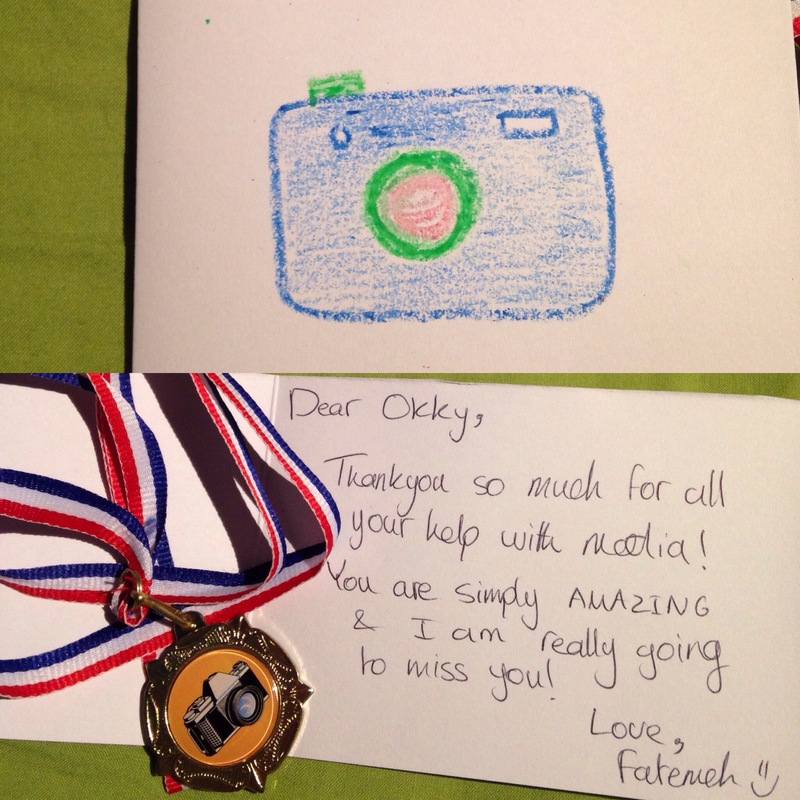 However, personally, I thought Fatemeh as a friend is amazing. She is a medical student but very well talented in filming. She wants to be a film maker and did several experience in that area. She has been involved in several film events in Glasgow. Other than her skills, she is also lovely. She is full of energy but sometimes she spreads love in a way that she speaks and react on something. She is cute Iranian friend :D.
Overall, It’s been an honour to work with her, and all of the Gumsa Media Team. I’ve worked also with my fellow Indonesian, Ucha, and with my neighbour Malaysian student, Zahidah. They’re all studying science (Ucha is doing toxicology, Zahidah is doing dentistry), but they are all have skilss in the media. At this point, I feel like I want to be longer as a student here in UoG. This is related to the previous article, which I use term ‘Slo-Mo’ to describe certain things that make me wish 6 months feels longer. Next Next post: They’re responded!